Curious about Infrastructure as Code (IaC)? 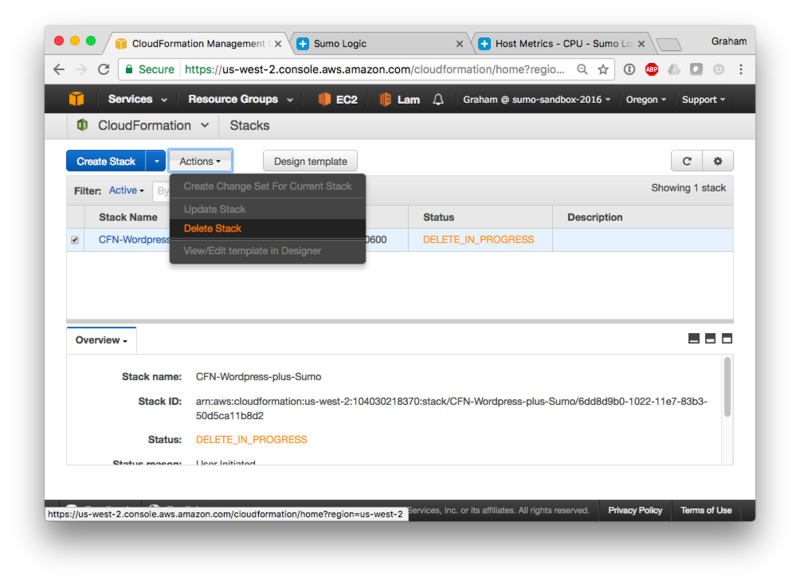 Whether you're new to AWS CloudFormation, or you control all of your cloud infrastructure through CloudFormation templates, this post demonstrates how to integrate Sumo Logic's monitoring platform into an AWS CloudFormation stack. 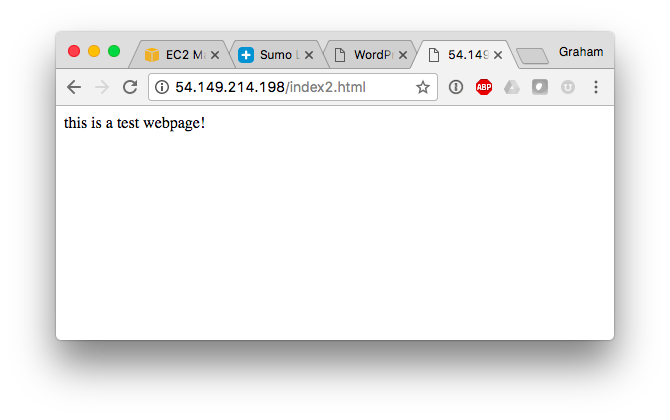 Sumo Logic's ability to Unify your Logs and Metrics can be built into your CloudFormation Templates. 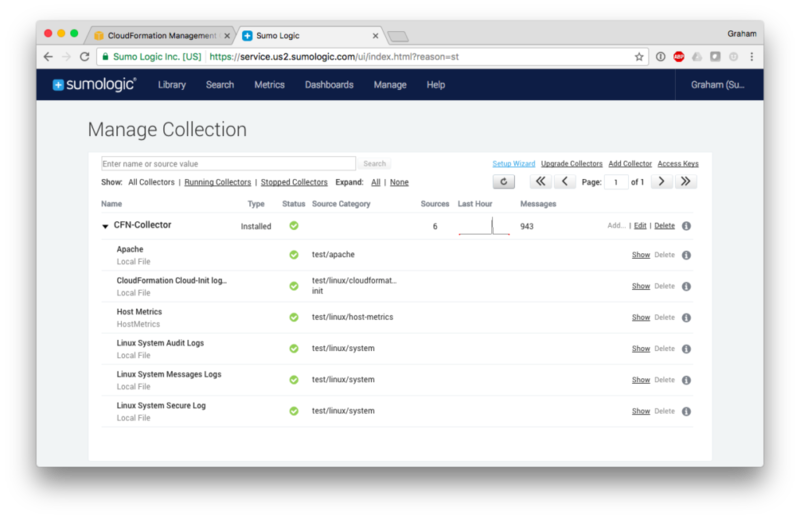 Collect operating system logs, web server logs, application logs, and other logs from an EC2 instance. 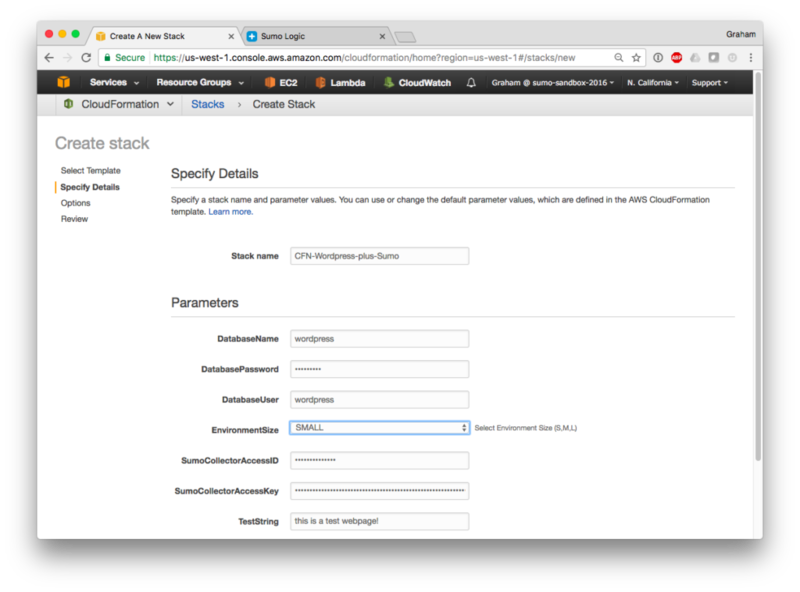 Additionally, Host Metrics, AWS CloudWatch Metrics, and Graphite formatted metrics can be collected and analyzed. 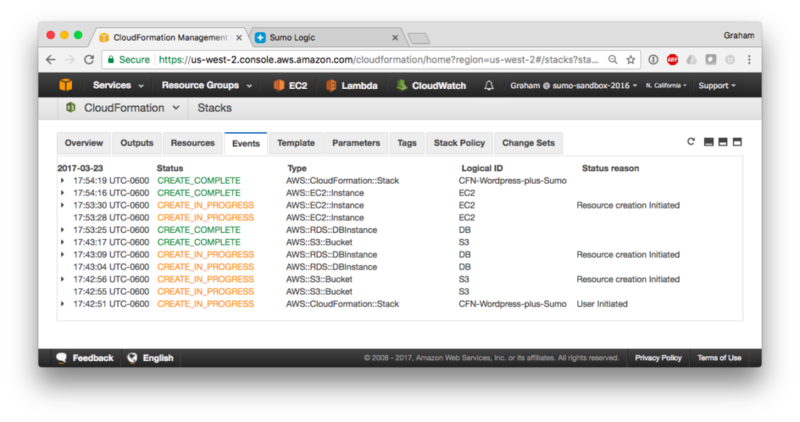 With CloudFormation and Sumo Logic, you can achieve version control of your AWS infrastructure and your monitoring platform the same way you version and improve your software. Linux EC2 instance - you choose the size! 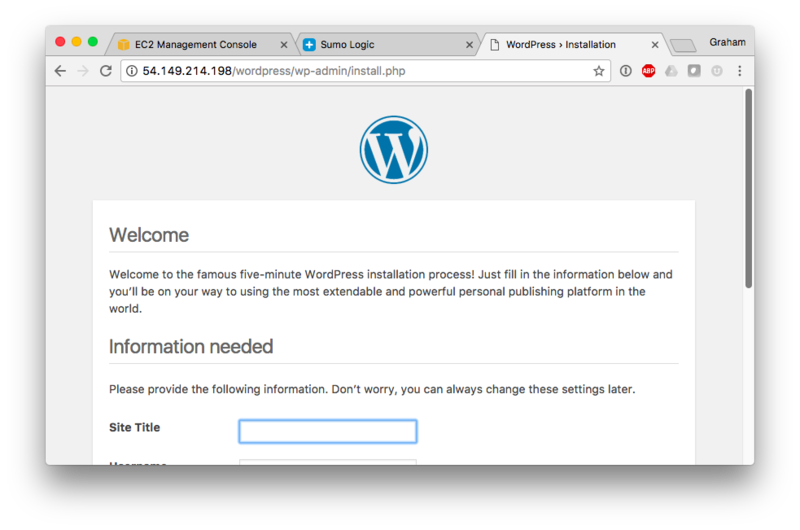 After you have access to your Sumo Logic account and an AWS account, navigate to an unused Region if you have one. This will give you a more isolated sandbox to test in so that we can more clearly see what our CloudFormation template creates. Make sure you have an EC2 key pair in that Region, you'll need to add this to the template. *Leveraging pseudo parameters, the template is portable, meaning it can be launched in any Region. Next, on line 87, in the EC2 Resources section, make sure to edit the value of the "KeyName" field to whatever your EC2 key is named for your current Region *Make sure the Region you choose to launch the stack in has an EC2 Key Pair, and that you update line 87 with your key's name. If you forget to do this your stack will fail to launch! 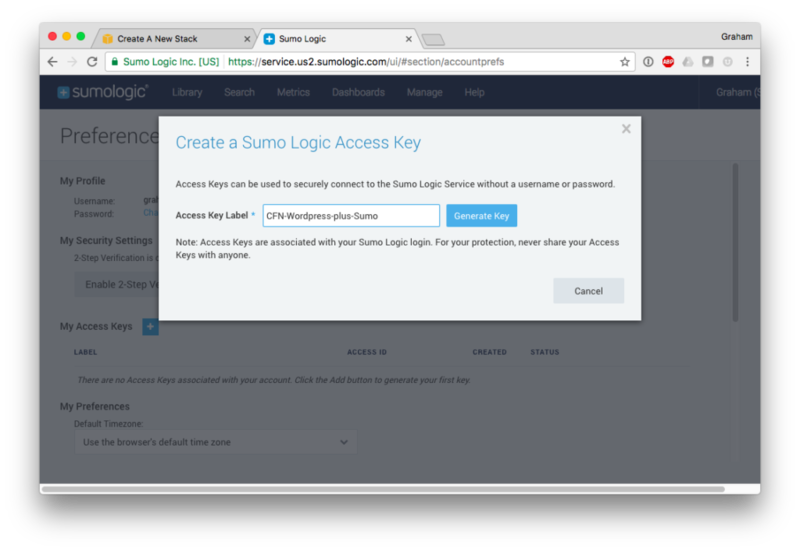 Enter the Sumo Logic key pair into the stack details page. 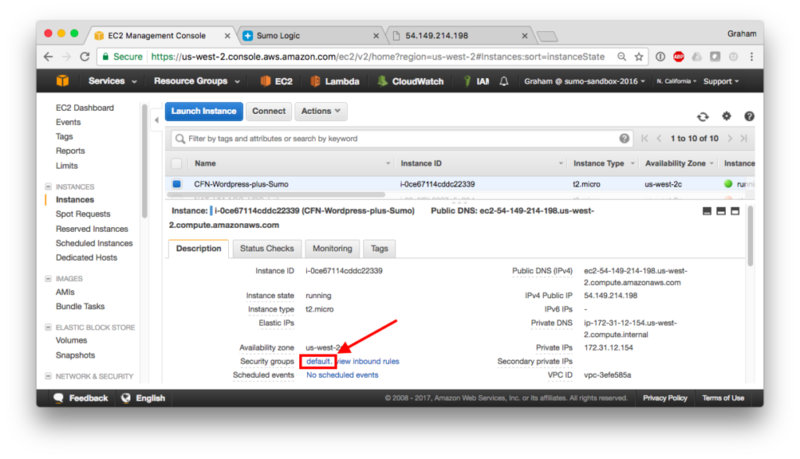 You can also select an EC2 and RDS instance size, and enter a test string that we can navigate to later when checking that we can communicate with the instance. Click 'Next', name/tag your stack if you'd like, then click 'Next' again, the select 'Create' to launch your stack! Now What? View Streaming Logs and Metrics! Make sure to delete you stack as shown below, and to remove inbound HTTP rules on your default Security Group. If you have any questions or comments, please reach out via my LinkedIn profile, or via our Sumo Logic public Slack Channel: slack.sumologic.com (@grahamwatts-sumologic). Thanks for reading! More posts by Graham Watts.